Ubisoft boss Yves Guillemot says Assassin's Creed IV and Watch Dogs are among the "top five for most pre-ordered" next-gen titles. The launch of a new console generation can be a tough time for publishers. Gamers might be hungry for new hardware but it still takes time for new, fully priced consoles to establish a user base large enough to support the sizable sales numbers that game companies like best. If Ubisoft CEO Yves Guillemot is correct however, that may not be as much of an issue with the coming launch of the PlayStation 4 and Xbox One. 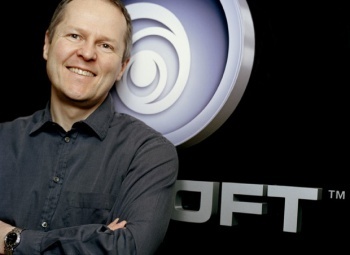 Speaking at a recent Ubisoft earnings call, Guillemot commented on reports from retailers that spoke of a dramatic overall increase in console pre-orders. "Some retailers, not all of them, are saying pre-orders two times than what they saw in the last generation launch," said Guillemot. "They're getting more pre-orders than what they saw before." In turn, Ubisoft representatives expect, by this Christmas, for next-gen consoles to have double the user base of the previous generation at the same time in its life cycle. Guillemot was also happy to note that Ubisoft products, including Watch Dogs and Assassin's Creed IV are among the "top five for most pre-ordered games" for next-gen consoles. While the PS4 and Xbox One doing twice as well at launch as their predecessors is impressive, we can't really say we're surprised. Since pre-orders initially opened, multiple retailers have had to cap sales as supplies have run out. At one point during E3, Amazon reported selling as many as 2500 consoles per minute. It goes without saying that the early success of the PS4 and Xbox One could be good news for publishers like Ubisoft.